Joseph Costa and his horse Stortebeker. Wellington, Fla – Dec. 19, 2017 – Parlanti International is proud to announce changes in leadership for distribution in the North American and European markets. The Italian equestrian footwear brand best known for its dominance in the elite hunter and international show jumping markets, will now be distributed by Parlanti International. Joseph Costa will serve as the company’s new chief executive officer. Costa has the perfect combination of professional experience and passion to take Parlanti to the next level. In 2010, he co-founded Winfield Consulting, a strategic development consulting firm where he led successful engagements with major brands, such as Avon, Mars and J Hilburn and helped them identify opportunities and develop and execute growth strategies. An expert in direct selling, Costa served as chief marketing officer for Winfield Consulting for six years, where he created methodologies now held out as best practices. He developed successful sales programs including “Direct Selling CPR,” a “Direct Selling Bootcamp,” and the “Win-Win” productivity program. A lifelong athlete and internationally competitive sailor, Costa was director of membership at the United States Sailing Association from 2004-2009. In 2014, he discovered horses and fell in love with dressage and the equestrian lifestyle. Costa competes his horse Stortebeker, a chestnut Hanoverian gelding by Sandro Remo. “We have some exciting announcements, new partnerships, products and initiatives planned for the upcoming season,” Costa said. “Parlanti is a brand that is synonymous with quality and luxury. The combination of Italian craftsmanship and the equestrian lifestyle makes Parlanti the ideal brand to pivot to the luxury market. I'm excited to work with Francesco (Iannelli) to introduce the Parlanti brand to new audiences. Francesco Iannelli. Photo courtesy of Francesco Iannelli. Costa will lead alongside Francesco Iannelli, who will serve as president of Parlanti International. Iannelli is a graduate of the University of Rome Tor Vergata and is fluent in six languages. In 2002, he accompanied Daniele Parlanti as a translator on a business trip across Europe. He recognized the opportunity with the equestrian boot brand and launched a Parlanti distribution business headquartered in Germany. The business flourished in Germany, and he moved on to dominate the European market. Iannelli is also responsible for sales in Asia, Australia, New Zealand and South Africa. 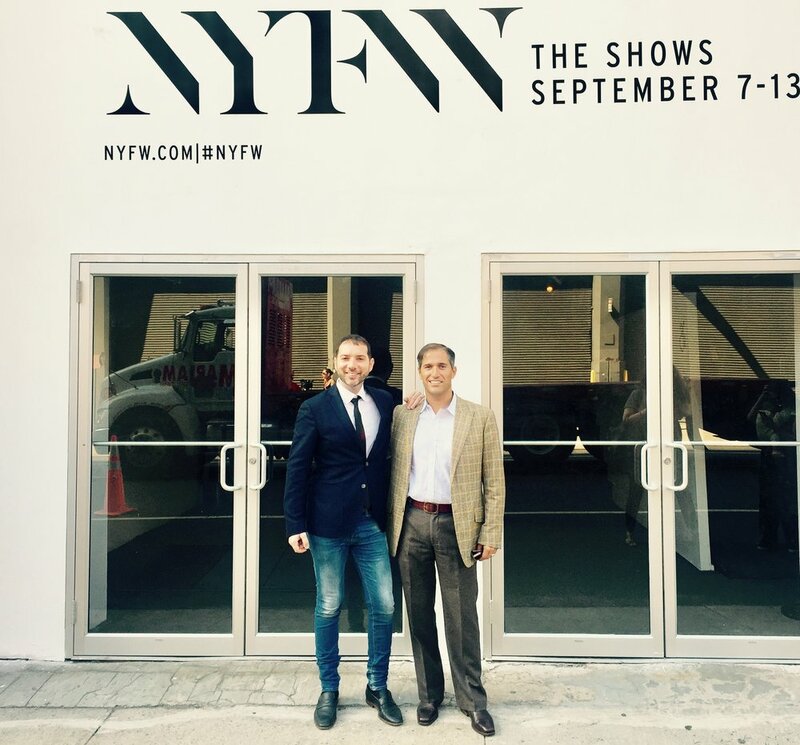 Francesco Iannelli and Joseph Costa at New York Fashion Week. In 2015, Iannelli moved to the U.S. to support operations and to help boost sales. Due to his efforts leading the Parlanti team, the brand experienced record-breaking double-digit increases. For over 30 years, Parlanti has produced the ultimate luxury equestrian boots, footwear and leather goods at their plant in Tivoli, Italy. Parlanti boots are worn by some of the most successful riders in the world, including Olympic silver medalist Kent Farrington, currently in first place in the Longines FEI rankings, international show jumper Jessica Springsteen, Olympic silver medalist Lucy Davis, Dutch Olympic gold medalist and World Equestrian Games winner Jeroen Dubbeldam, Australian Olympian Edwina Tops-Alexander, international dressage competitor Katherine Bateson-Chandler and more. Parlanti Roma, their line of made-to-measure boots, is unequaled in the marketplace. In 2011 the company launched Parlanti Passion, their popular ready-to-wear line. Both lines are known for their perfect fit and immediate unheard-of comfort. Parlanti uses only the highest quality materials to produce their products. Each product is entirely handmade and produced with meticulous attention to detail by Italian craftspeople. Step into Parlanti and never look back.